Female riders are in the spotlight right now. 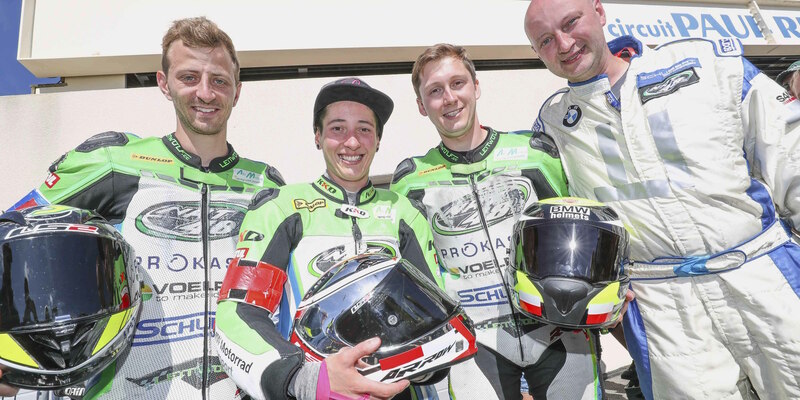 Lucy Glöckner’s battle for the podium galvanized the end of the Bol d’Or last weekend. But she wasn’t the only woman rider to enter the fray. The all-female Girls Racing Team (Amandine Creusot, Jolanda Van Westrenen and Muriel Simorre) finished the race too, and so did Flam Racing’s female rider Margaux Wanham. Racing the Bol d’Or as a two-man team on a current-day bike is quite a challenge. But when their 3rd rider withdrew after qualifying, National Motos decided to go ahead anyway with just Emeric Jonchière and Stéphane Egéa. Endurance racing is a multi-faceted sport with extraordinary appeal. 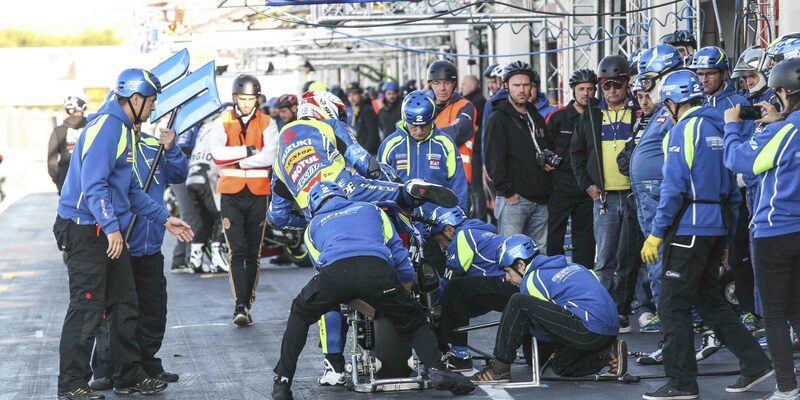 The prowess of the riders, teams, machines and tyre manufacturers all contribute to the excitement of the FIM EWC world championship, and this was amply demonstrated at the Bol d’Or. GMT Yamaha, the strongest contender for the 16-hour bonus points, hit the mark, scooping the 10 points ahead of F.C.C. TSR Honda France, Suzuki Endurance Racing Team and Honda Endurance Racing. 21 hours into the race at the Bol d’Or, Tati Team Beaujolais Racing is battling for the Superstock win. The French Kawasaki-mounted team is currently in 5th place, dominating the Superstock class. Reigning champion GMT94 Yamaha has won the Bol d’Or for the first time since 2007. The French factory-backed team clinched the victory ahead of Wepol BMW Motorrad Team by Penz13 and Honda Endurance Racing. The latter two teams staged a historic finish, with a duel between Sébastien Gimbert and female rider Lucy Glöckner of Völpker NRT48 Schubert Motors by ERC. Team SRC Kawasaki kept the pressure on its rivals at this morning’s warm-up at the Bol d’Or by completing the fastest lap a shade quicker than Suzuki Endurance Racing Team. After a heated start, the Bol d’Or saw five different teams vying for the lead in the first third of the race. F.C.C. TSR Honda France, Suzuki Endurance Racing Team, GMT94 Yamaha, Honda Endurance Racing and Team SRC Kawasaki took it in turns to lead. In a 24-hour race, a team is made up of three riders. At the Bol d’Or, some teams are racing as a duo out of choice or necessity.